Pagan folk metal band Смута (Smuta) from Rybinsk of Russia is revealing the first details of its upcoming full-length album “Путь – The Way“. This is going to be the 5th full-length work for the band that was formed back in 2004. “Путь” will be released in Spring 2015 via SoundAge Productions, the label that also released their 3 previous works. The new album will be published in a deluxe 6-panel digipak edition, including a 20-page booklet too. 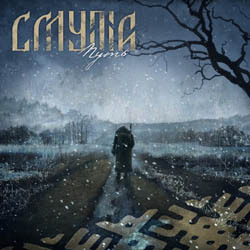 Смута have already unveiled the album tracklist, as well as the cover artwork, illustrated by their vocalist Eugeniy Vorobiev! More details and album teasers will be revealed soon.